A Fabricated Journey: Same concept - different style! Hello, today I'm sharing a layout I created for my daughter Mackenna. Occasionally I like to colour challenge myself and as I don't like the colour red (my daughter loves it!) I thought it's time to lose the fear of using it! I must say with the stunning dusty and vintage shade of red that Pion Designs has in the 'From my Heart II' collection - I found it a delight to create with. 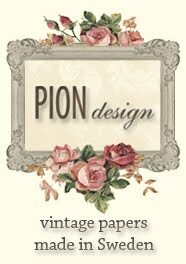 So watch here and on the Pion Designs blog because I'll be using allot more of this stunning 'RED' paper in the future ~ Fear gone! 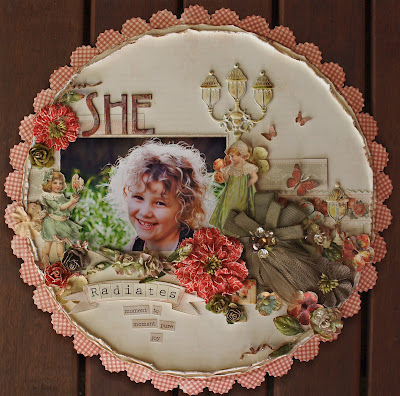 'She Radiates' Pion Designs papers featured ~ From my Heart II collection. 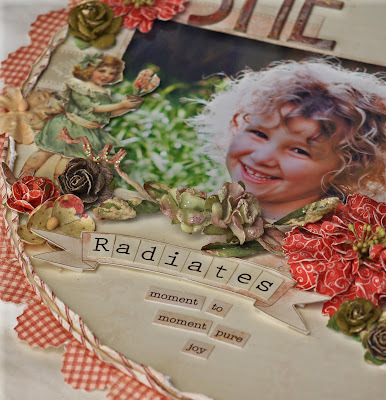 Rose frame, Tags, Captured hearts, borders and Children-Images from the past. 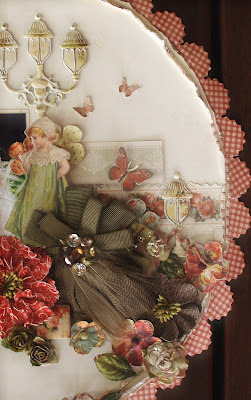 Beautiful embellishments and flowers are from Prima. 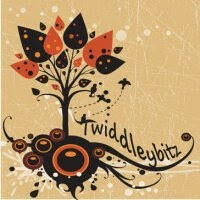 This layout is the same Circle and border idea as the following blog post ~ although it's a different style and completely opposite colour combination. If you like a layout idea that you have done B4 - take a challenge and adapt it and see how different both layouts can look. Thanks for dropping by, G! I LOVE your page! 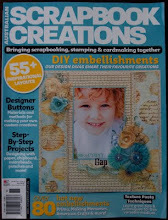 Contrary to you red is my fav color so the layout caught my eye straight away at Pion's blog! Going to browse the rest of your blog!